By 2040, zero-emission energy sources will make up 60% of installed capacity. Wind and solar will account for 64% of the 8.6 terawatts (trillion watts or TW) of new power capacity. And solar and wind will account for almost 60% of the $11.4 trillion invested in energy over the next 25 years, according to a new forecast by Bloomberg New Energy Finance. Annual electricity output in thousand terawatt hours by the major generating technologies from 2016 through 2040. The "New Energy Outlook 2016" forecast charts a significantly lower track for global coal, gas and oil prices than it did a year ago. It now estimates that $7.8 trillion will be invested in renewables over the next quarter century, compared to $1.2 trillion for new coal plants -- largely in India and other Asian emerging markets. 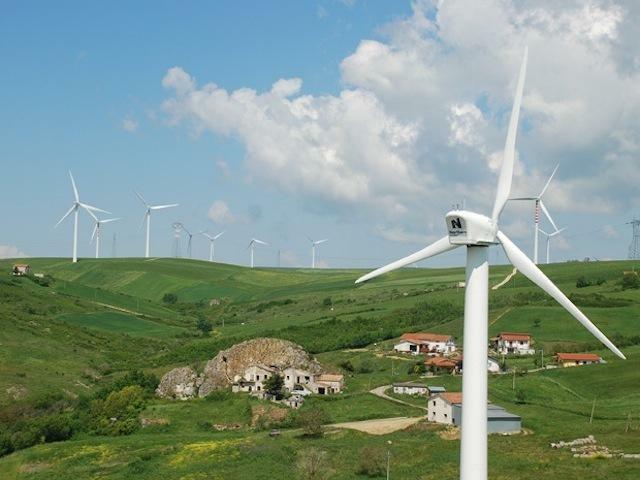 Renewables will dominate in Europe, which will overtake the U.S. in zero-emission power generation. Wind, solar, hydro and other renewable energy plants will generate 70% of Europe's power in 2040, up from 32% in 2015. In the U.S., renewable energy's share will jump from 14% of energy production in 2015 to 44% in 2040. Energy generated from natural gas will slip from 33% to 31%. "One conclusion that may surprise is that our forecast shows no golden age for gas, except in North America. As a global generation source, gas will be overtaken by renewables in 2027," Elena Giannakopoulou, senior energy economist on the report, said in a statement. 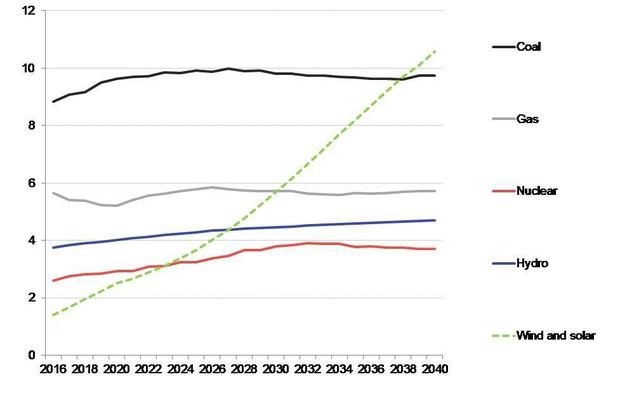 "It will be 2037 before renewables overtake coal." The electric vehicle boom will increase electricity demand by 2,701TWh (terawatt hours), or 8% of global electricity demand in 2040. EVs will will represent 35% of worldwide new light-duty vehicle sales that year, equivalent to 41 million cars, some 90 times the number that sold last year. Coinciding with skyrocketing EV sales, small-scale battery storage will grow to be a $250 billion market, Bloomberg said. The rise of EVs will drive down the cost of lithium-ion batteries, making them increasingly attractive to be deployed alongside residential and commercial solar systems. "We expect [the] total behind-the-meter energy storage to rise dramatically from around 400MWh [megawatt hours or million watt hours] today to nearly 760GWh [gigawatt hours or billion watt hours] in 2040," the report said. The term "behind the meter" refers to energy use by households and businesses. Burlington, Vt. is one of a handful of U.S. cities that have already proclaimed 100% renewable energy use. 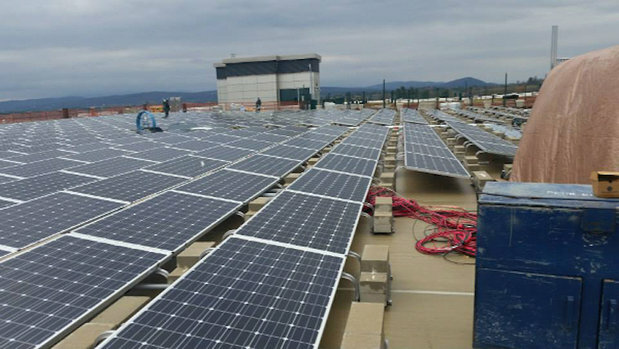 Above is a 500kW solar array on the roof of the Burlington International Airport parking garage; it began commercial operation in February 2015. While progress in the growth of zero-emission renewables is forecast to surpass previous estimates, the Bloomberg report also noted that greenhouse gas emissions will also continue to grow. "Some $7.8 trillion will be invested globally in renewables between 2016 and 2040, two thirds of the investment in all power generating capacity, but it would require trillions more to bring world emissions onto a track compatible with the United Nations 2°C climate target," Seb Henbest, Bloomberg New Energy Finance analyst and the lead author of the study, said in a statement. The U.N.'s 2°C climate target was part of a 196-nation agreement reached at the Paris conference in December to limit global warming to 2 degrees Celsius above pre-industrial levels by the year 2100. In the new report, Bloomberg New Energy Finance stated that the U.N. 2⁰C climate target would require much more money to attain it. "On top of the $7.8 trillion [in renewable investments], the world would need to invest another $5.3 trillion in zero-carbon power by 2040 to prevent CO2 in the atmosphere rising above the Intergovernmental Panel on Climate Change's 'safe' limit of 450 parts per million," Bloomberg stated. 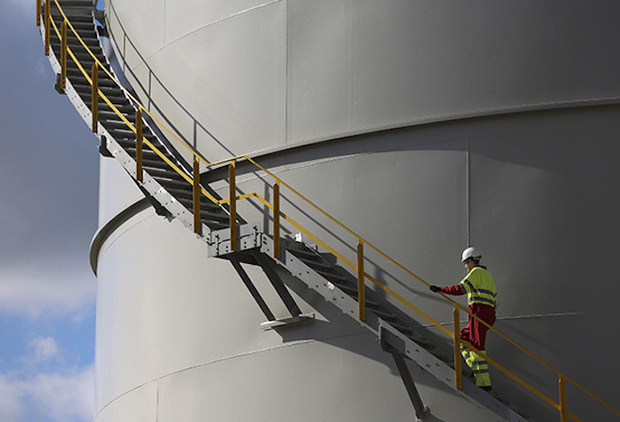 A worker climbs the stairs at a natural gas storage facility. Onshore and offshore wind will see $3.1 trillion in new investments over the next two decades, while utility-scale, rooftop and other small-scale solar will get $3.4 trillion. Hydro-electric, already a well-established zero-emissions energy source, will receive an additional $911 billion in investments by 2040. Bloomberg reduced its long-term forecasts for coal and natural gas prices by 33% and 30%, respectively, compared to last year's projection, reflecting a projected supply glut for both commodities. But Bloomberg expects natural gas prices in the U.S. to more than double from 2016 to 2040, hitting $5.60 per million BTUs (British thermal units); coal prices, on the other hand, should fall in the near-term and then stay flat from 2020 to 2040 at $43 per ton, according to Colleen Regan, head of Environmental Markets in North America at Bloomberg New Energy Finance. The cost of generating zero-emissions energy is also expected to drop precipitously. For example, the cost of generating a million watt hours (mWh) through onshore wind is expected to fall 41% by 2040, and solar photovoltaics will plummet by 60%, "making these two technologies the cheapest ways of producing electricity in many countries during the 2020s and in most of the world in the 2030s," the report said. Over the next 25 years, new investments in fossil fuel power will total $2.1 trillion, predominantly in emerging economies. About $1.2 trillion will go into new coal-burning capacity, and $892 billion into new natural gas-fired plants. While China and India are expected to lead investments in coal-fired power generation, Bloomberg predicted lower levels than in previous estimates. Changes in the Chinese economy, and a move to renewables, mean that coal-fired generation there in 10 years' time will be 1,000TWh, or 21% below the figure predicted in Bloomberg's 2015 New Energy Outlook. "That makes India the key to the future global emissions trend," the report stated. "Its electricity demand is forecast to grow 3.8 times between 2016 and 2040. Despite investing $611 billion in renewables in the next 24 years, and $115 billion in nuclear, it will continue to rely heavily on coal power stations to meet rising demand."